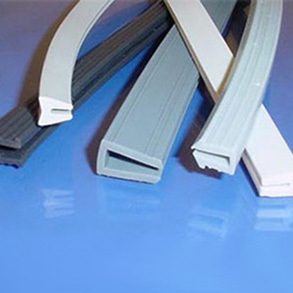 Here at Wuxi Aomeite a silicone product China manufacturer, we offer commercial grade silicone or rubber strips that function as an exceptional high-temperature gasketing material. This is know as a rubber retardant product. This silicone rubber has the longevity and temperature stability to withstand constant use in processes such as door gasket application. They are also inert inherently, greatly reducing risk of fungal growth. Furthermore, these silicone strips have unparalleled elongation properties, allowing them to stretch repeatedly for long-lasting use.